Free Tarot Card Reading – Creating your future. Do you believe you can create your future? Are there goals and peaks you haven’t reached? What are you aiming for and what is blocking you? In this free Tarot reading take a minute choose a card that may reveal an answer. I believe we all have the ability to grow and transform and by changing simple patterns we can beckon experiences beyond our wildest dreams. Focus on the three cards and see if one jumps out at you. Take a deep breath, pick one and then scroll down for your answer. Dear Goddess, you have had a rough time! There seems to have been at least three significant disappointments along the way. You are carrying a pain so familiar that you might not even be aware that it’s there! If you look at this card you see that the swords are symmetrical, they merrily pierce your tender heart. What pain are you hanging onto? Do you believe your fate will always be one of defeats and setbacks? Have you not recovered from a betrayal? The pain of the 3 of swords can be buried and go back to the distant past. FEAR NOT! 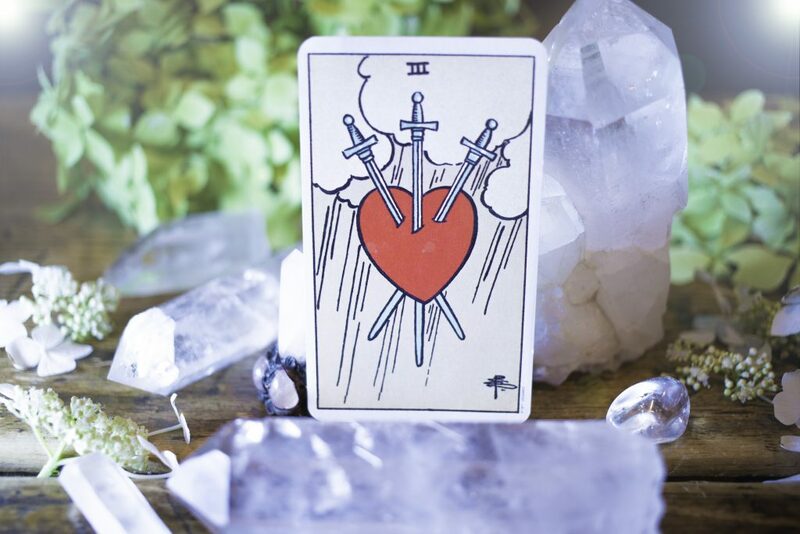 The three of swords has come into your life today to give you a message. When you let go of the past, when you regain your faith in your journey and your ability to create your reality, the pain heals. 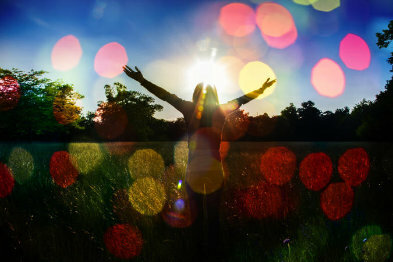 You are ready to let go, to recover and experience abundance and joy. Your mission is to tackle any negative thinking, to honour your wounds but to commit to thriving. Your past does not define your future. Do something kind and lovely for yourself today. 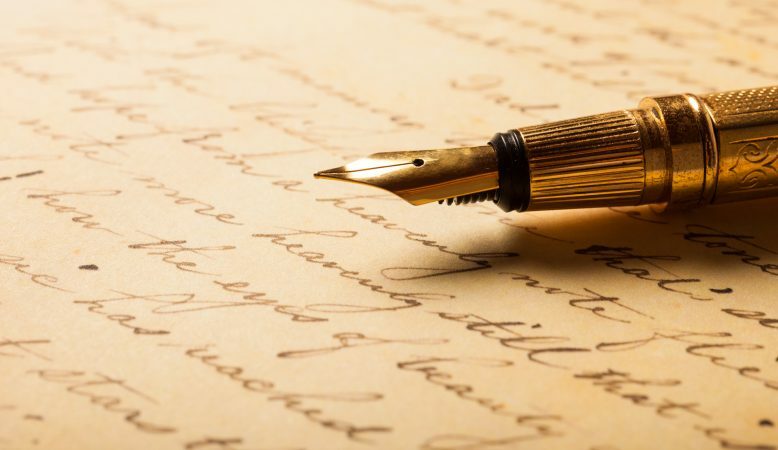 Write a list of your desires and know that they are possible. You got this! Happy days! Potentially, creating your future is inches away. Have you been living in chaos? 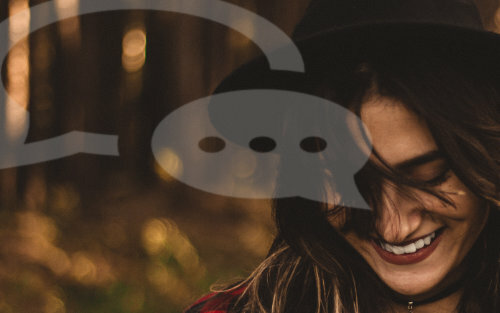 Is it the chaos of other peoples actions or emotions? It may be that you’re juggling several crystal balls in the air at once or always chasing your unicorn horn without a minutes peace. Whatever is going on, the Universe is asking you to stop and step out of the crazy. Temperance is all about balance. It’s time to find your equilibrium and calm place. Whatever is happening could be a distraction. Obviously, if there is illness or personal tragedy it’s not a distraction, but either way, the Universe is urging you to find space for yourself. Be in stillness, to reflect on a new way of doing things. You have great potential now. It’s time to look at things from a different perspective. You’re likely to discover a newfound tranquillity and purpose that is going to make life much smoother. Centre and know your worth. 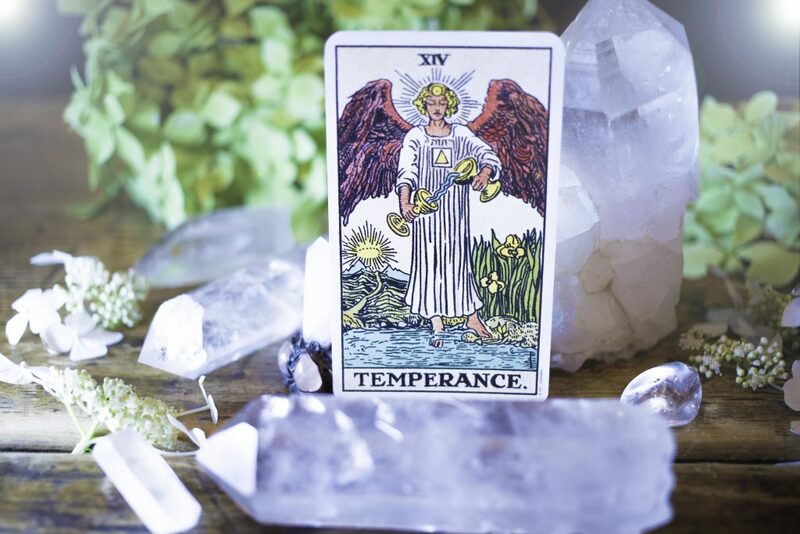 Oh, and pay attention to the other meaning of Temperance. Ditch anything self-destructive like drinking too much or scoffing fairycakes for breakfast. The rewards will be more than worth it. The Universe is rooting for you and ready to deliver. My, what a sweet, sweet soul you are! Are you aware of how pure your spirit is? Do you sometimes feel that you don’t want to go after your dreams in case you fail? The Universe is awakening you to your potential. Perhaps you are working on a precious idea? A gorgeous original energy is stirring. Tend to your dream as you would a tiny baby, nurture it, love it and don’t ignore it just because it’s teething. A golden ray of love and a burgeoning creativity is giving you the answers you seek. Take your skills and thoughts seriously. Take time out to lose yourself in your imagination. Indulge in visualising the future. Be playful, is your prescription from the cosmos. Sometimes when we surrender to pleasure and silliness, our mind is free to deliver a genius solution. You are much more psychic at this time or beginning a new spiritual quest and learning. OK, it’s early days, but the tender roots of the reality you wish to create are strong. Protect and cherish what you hold dear and only share it with those that support and understand you. Free Tarot Card Reading – A message of love. How are you experiencing love right now? What is your heart trying to tell you? 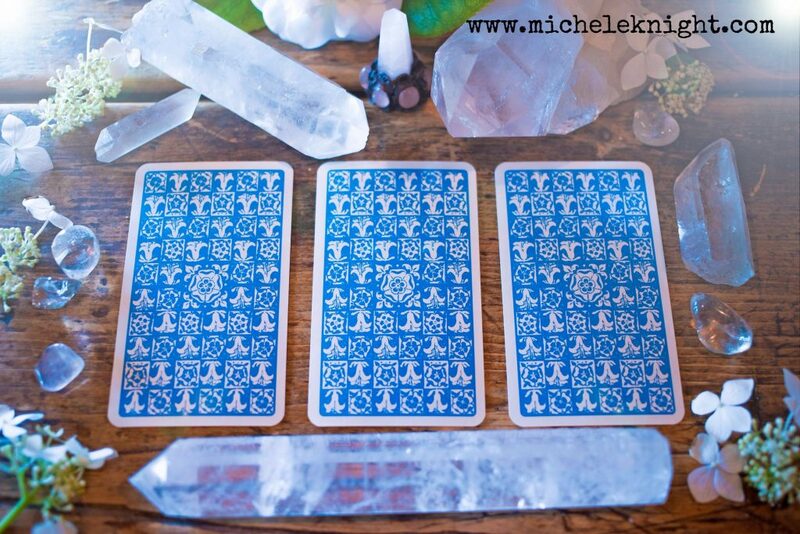 Is there a message of Love behind one of these three Tarot cards. 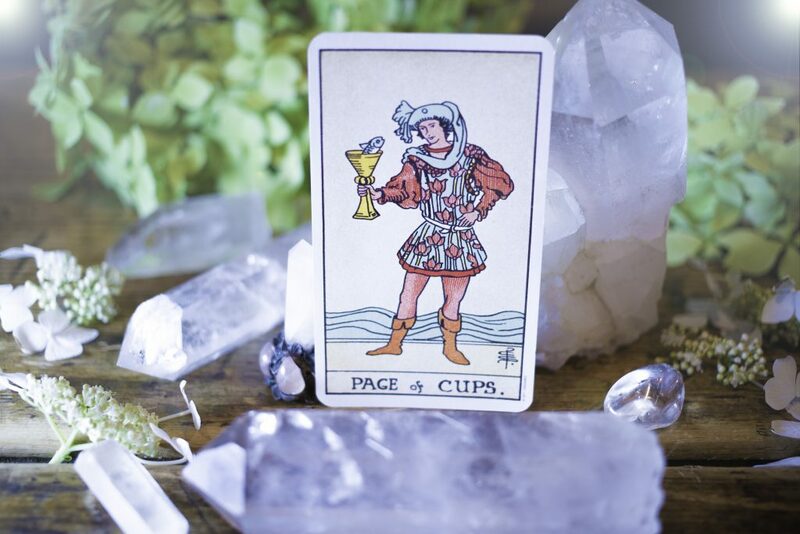 Allow your intuition to choose the right card for you.